To think that in most of Canada's major urban centres a single family home is no longer an attainable purchase for an average worker is not meaningless, it's a dilemma facing millions of Canadians. We can bicker about this all night long, but buying a single-family home in Canada's largest cities and the country's most desirable cities is no longer a Canadian right of passage, it's a struggle for many. I would definitely agree with that. It is a major problem in probably 4 of Canada's 5 largest cities. And rather than helping, our governments at every level are actively making things worse. Combined with the fact that wages are stagnant despite very low unemployment it's like a perfect storm. And then economists wonder why that is. Gee, I wonder, maybe importing 350k new workers every year has an effect. Context, RFS, context. You can also buy a nice affordable home in Europe, but it'll be 250km from the closest urban centre of any significance and serious employment opportunity. That house won't do you much good if you have to spend five hours commuting to work. As for these development cost charges the reality is 99% of homeowners won't see these fees directly they will be built into the cost of the finished product, only an owner builder will see them directly and with the new rules they are becoming more rarer. I had to pay ~$6000 to upgrade a BC Hydro transformer directly to ensure I had the capacity I needed for my house. You have to remember that these surveys generally look at the downtown cores and do not consider the "burbs". There are lots of affordable homes in Toronto , Vancouver or Montreal but they are not right downtown. But commute cost does not factor into "housing affordability" - they'll consider your condo fees, your income, etc. when approving for a mortgage but not the costs to get to and from work - so I'm sure there's more than a few "overextended" homeowners in the burbs who simply can't qualify for something closer even though it might be less pricey than dealing with the costs of commuting. We're now at a point in this country where the average annual income per worker is approximately half of the wage required to afford the average single-family-dwelling. In short, you need two average incomes to afford an average Canadian single-family home. ^Oh and there are just so many good paying jobs in Port Alberni. I am sure we can fill Port Alberni with all the people who are going to serve your coffee and food to you in restaurants. Edited by sdwright.vic, 29 January 2019 - 07:49 PM. Yeah, but there’s also a reason why more people live in Vancouver and the Fraser Valley than throughout the entirety of those two provinces and why there are more people on Vancouver Island than in Saskatchewan’s 20 largest settlements. There wouldn’t be housing affordability issues if all things in this country were equal, but they’re not. People flood out of the Maritimes seeking employment, but their houses are cheap. Winnipeg might offer you a large home and a nice yard for $450k, but so few people want to live in Winnipeg compared to Vancouver, Toronto and Montreal that it’s a wash. Everything is relative, but overall, Canadians are finding it harder to buy homes where the majority of them were born, live, work and want to raise families. Yeah, I think we are arguing at cross purposes here. Yes undoubtedly the housing market in the Toronto, Montreal, and Vancouver areas is unaffordable for the average Canadian worker. 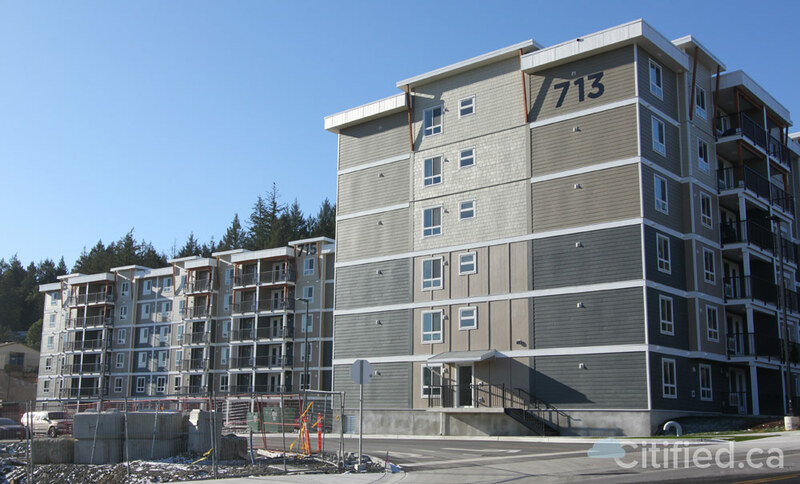 Two nearly completed rental complexes along the 700-block of Treanor Road at Millstream Road in Langford have been acquired by BC Housing. The buildings are in their final stages of construction with occupancy expected in the coming weeks. Wages are lower here because productivity and skills are generally lower than they are in larger markets. If they weren't then employers from other markets would be setting up more branch offices here. There are a few, but most close after a few years when the CDN dollar rises and reduces the cost advantage or employers are willing to pay more in other markets for higher productivity. If we are willing to set aside the belief that affordable housing means that you should be able to live anywhere you want and pay any rent you feel is appropriate, lots of markets, including Edmonton, now have housing prices at post 2007 lows. Doh. How often have we commented that taking low priced inventory and giving it away to homeless people who move here from elsewhere just takes inventory out of the system and creates more people who can't afford housing? !